Completing household jobs is easy when you have the best caulk and caulking gun choices. What many people don’t know is that there are specific caulk types, something for any job. You’ll find varieties for the kitchens, concrete, bathrooms, windows, gutters and more. There are even designated caulks for exterior work. Choosing the correct type and learning how to apply it can be confusing. 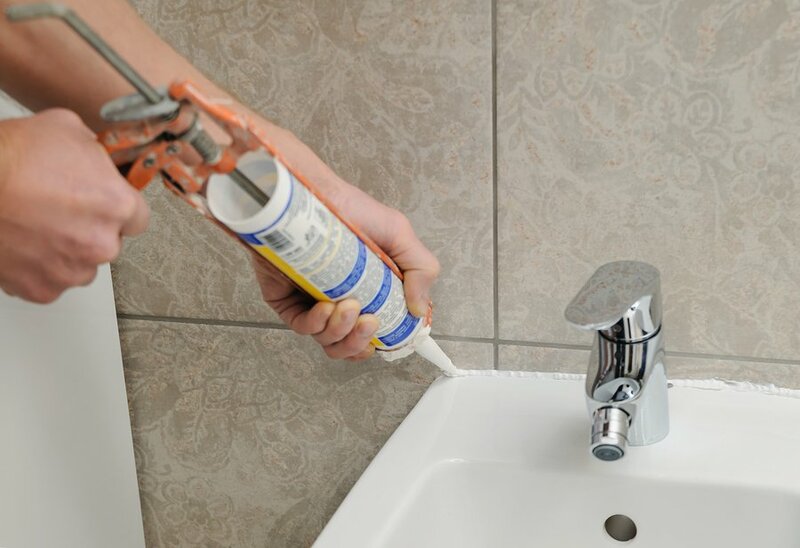 With the right information, you can use caulk to complete your DIY projects easily. What To Look for When Buying a Good Caulk? Caulk is used in the household as a sealant. It can fill cracks and gaps around household objects. You will find it useful in filling spots around windows, plumbing, doors, and pipes. By filling these areas you are able to prevent water, air, and bugs from entering the house. There are two main types of caulk; latex and silicone. Most latex caulks can be painted to match any area that you are applying it. Some silicone caulks will also allow for paint to be applied. If you use a silicone caulk that doesn’t allow for paint, you must choose a color that will match the surrounding area. 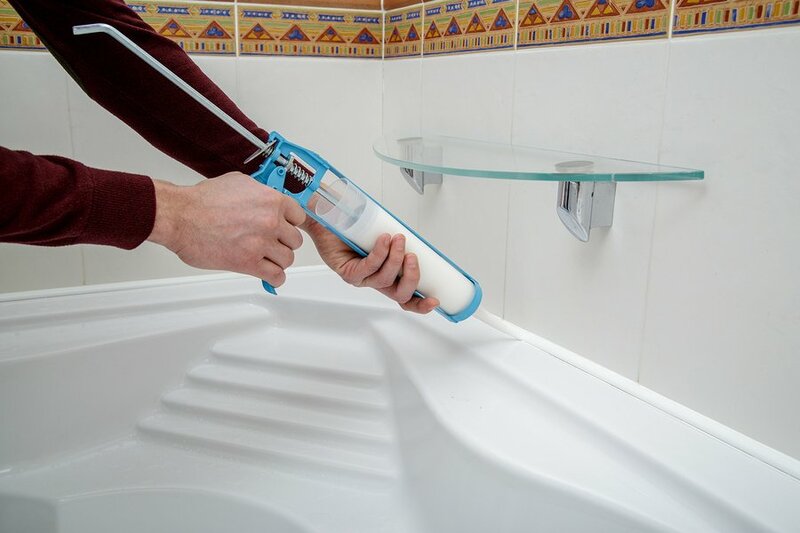 The standard latex or silicone caulks can be used almost anywhere in the home. Many people associate caulk with the tub and shower, but there are many other uses involved. It can also be applied to the windows, doors, pipes, and plumbing. Aside from those, there are many specialty caulks available for other jobs. You can find varieties that include blacktop asphalt caulk, concrete caulk, exterior caulk, mortar caulk and roof caulk. These are just a few of the many ways that caulk can be used in and around the home. The steps to applying caulk are pretty much the same wherever you are working. There may be some slight variations, so be sure to read the packaging on your caulk before proceeding. Press the release found at the rear of the gun. Pull the plunger as far back as possible and place the tube into the gun. Make sure that the nozzle is in the front. Push the plunger into the back of the tube. Cut the tip of the caulk cartridge so the hole is the size of the gap you are looking to fill. If you need a small bead, you will cut close to the tip. For larger bead size, simply cut further down the tip of the nozzle. Push a nail through the hole to puncture through the inner seal. First, test your bead size on a paper towel or piece of newspaper to ensure the correct size. Pull the caulk gun along the joint. Pushing the gun can result in an uneven application. Hold your tube at a 45-degree angle in relation to the area being filled. Apply a steady pressure to the trigger at all times. When you need to stop, simply release the trigger and pull back the rod. 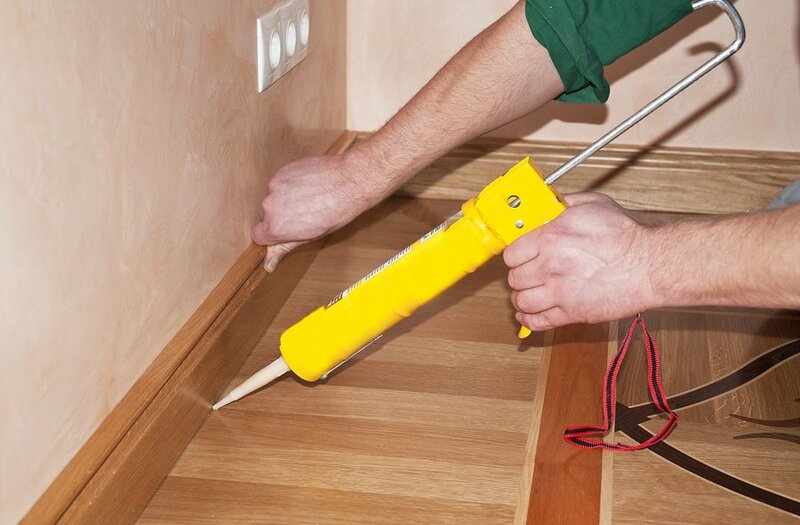 Use a caulk finishing tool to go over your bead. This will smooth it and push the caulk in between the substrates. Do this before the caulk dries. Make sure you also remove the tape before the caulk has dried. The best way to remove this is by pulling it away at a 45-degree angle. When searching for the best caulk, the main thing you need to be concerned about is that you purchase the right variety of caulk. Here are the five best caulk products you can currently purchase. Each will work best on different surfaces so read on to learn more. There are a lot of brands that want to be the best tub caulk, but the Dap brand leads the pack. Protect and seal in the home with this 100% silicone rubber. It is waterproof, weatherproof and guaranteed not to crack, dry out or crumble. It can be used indoors or outdoors. This 100% acrylic latex caulk is high-performance and provides powerful adhesion and elasticity. It can stretch and compress to absorb movement spans and gaps up to 2-inches wide. Highly regarded as the best caulk for baseboards, it also stretches up to 500% of the original joint size without cracking. The Sashco caulk can be painted with latex paints and stains making this the best caulk for trim. There are many interior applications this can be used for including the best caulk for windows. Don’t use this caulk in areas of water submersion. That includes the tubs, showers, pools, and patios. Because you need to avoid water with this formulation, it is not the best shower caulk. Lexel is 19 times clearer than silicone plus it doesn’t yellow or clouds up over time. This makes it the best caulk for shower surrounds. Not only will it securely seal everything in the tub and shower stall, but it is also ideal on sinks, countertops, window frames, door frames, metal pipes and around PVC. It can easily survive the routine scrubbing done with household cleaners. In fact, you can use abrasive cleaners on it making it the best caulk for the tub. From the well-known GE brand comes this 100% silicone caulk. It is permanently waterproof as well as flexible and shrink proof. Within 30 minutes, it is rain ready making it ideal for exterior application. It is also sun and freezeproof, mold resistant and offers a lifetime guarantee. Considering this is the best exterior caulk, it can also be used on doors, siding, brick, concrete, and masonry. For interior applications, consider using it on wood, metal, drywall, glass, and plastic. Just keep in mind that this variety is not paintable. This tub and tile adhesive caulk is mildew resistant. It also provides excellent adhesion and maximum flexibility. The caulk bonds like glue but seals like a caulk. Considering this variety is paintable and cleans up easily with water, it can be rated the best caulk for the shower. With the durable, watertight seal you can even use it as the best bathtub caulk. Once you’ve applied the caulk you’ll find that it works well with tools for a complete finish. There is also a large selection of colors to choose from, perfect for matching any project. Choosing the best caulk and caulking gun doesn’t need to be confusing. With all the products currently available on the market, it is easy to find exactly what you need to get the job done right. The trick is to buy the caulk that works best for your project and then pair it with the best caulk gun.